to Icar Distribuciones Ferreteras (IDF) in Madrid Spain. IDF are suppliers of equipment to the security forces of the Spanish State. 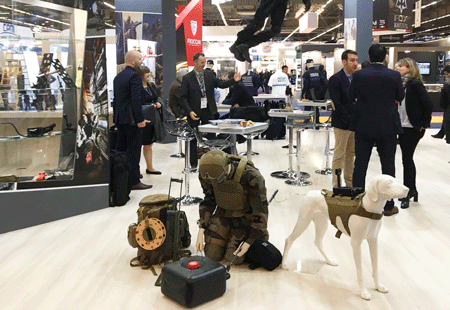 All Securit exhibited the Ruslyn Pack Reel at the 2017 Milipol in Paris. All Securit is the distributor of the Ruslyn Cordwheel and Pack Reel and a supplier of equipment to defence and homeland security in Switzerland and France. DSEI represents the entire supply chain on an unrivaled scale. 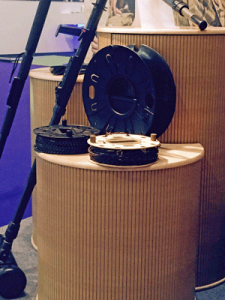 The Australian manufactured Ruslyn Pack Reel NSN 8130/661596431 is shown here proudly exhibited at DSEI 2017. 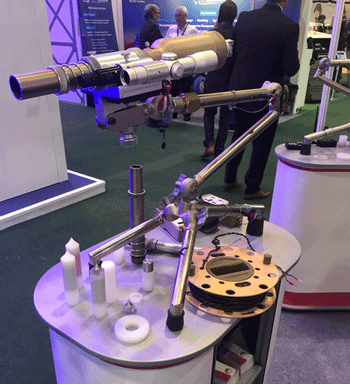 It is fitted with firing cable and was supplied to the exhibitor by EOD UK. NSN 8130-66-164-1146. Capacity is 65m of 3mm Dyneema rope. 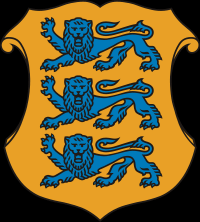 Vipfish OÜ Estonia is a defense supplier to Latvian Defense and other defense organizations in the Baltic. Recently Vipfish OÜ received an order from Latvia Defense for firing cables fitted to the Ruslyn Cordwheel and Ruslyn Pack Reel, proudly manufactured in Australia. At Iraq’s request, NATO agreed in July 2015 to provide defence capacity building support in a number of areas, including countering improvised explosive devices, explosive ordnance disposal and demining, security sector reform, military medicine and civil military planning. In 2016, NATO trained over 350 Iraqi officers in Jordan, and at the Warsaw Summit in July 2016, Allies agreed to expand this training into Iraq itself. Since January 2017, NATO advisers have been working in the country, overseeing training activities and working with the Iraqi authorities to reform their security institutions. NATO’s presence in Iraq includes a core team and mobile training teams. 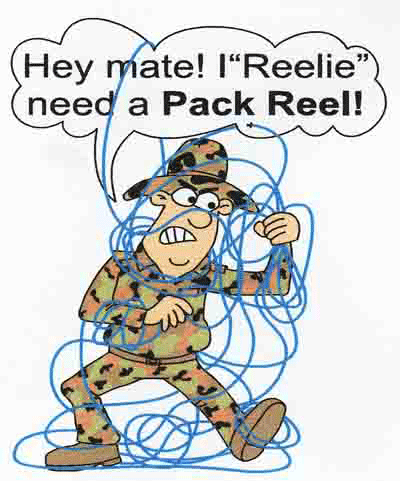 NATO recently delivered 1000 sets of firing cable which were supplied on the Australian manufactured Ruslyn Pack Reel. Ruslyn Holdings is proud to be part of this supply. 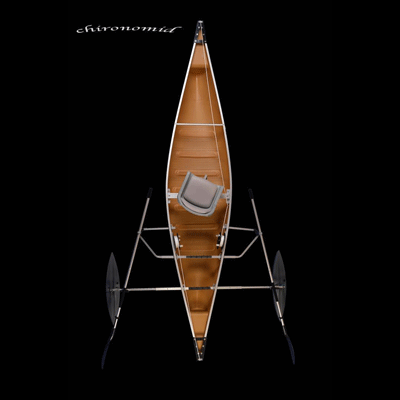 Cunningham Boats located in Pincher Creek Alberta Canada has just released the Cunningham Chironomid, a fly fishing trimaran with a central canoe hull designed for stability and comfort. 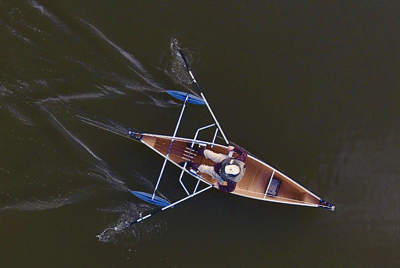 This unique lightweight boat incorporates 2 Ruslyn Pack Reels as the anchor reel system. 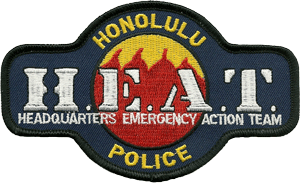 The NTOA Member Tested & Recommended Program is a valuable program highlighting equipment available to law enforcement in the USA. October 2016 has been a very busy month with export supply of Cordwheels and Pack Reels to New Zealand, Britain, Germany, Hungary and Israel. Most to defence related usage. 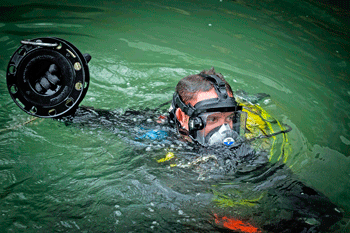 A recent image of a United States public safety diver using the Ruslyn Pack Reel in underwater training. The Pack Reel is used to deploy hook and line, det cord, firing cable, paracord, communication cables, wire and rope. 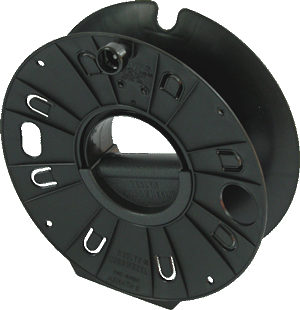 The Pack Reel is distributed in the United States by TETAC Incorporated. TETAC Inc is the USA Distributor of the Ruslyn Cordwheel and Pack Reel. 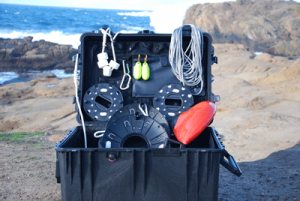 As a supplier to the US Navy, TETAC has produced a unique underwater kit which incorporates both the Cordwheel and Pack Reel. Milipol Paris presents in a single exhibition, the know-how and innovations of every theme related to internal State security. Ruslyn Holdings is proud to be represented by All Securit in France and Switzerland. 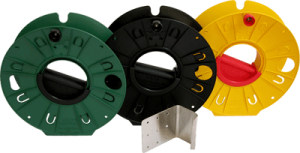 We are proud to announce that All Securit of Switzerland is our latest distributor of the Ruslyn Cordwheel and Pack Reel. All Securit is a supplier of specialized equipment to Defence and Law Enforcement to both Switzerland and France. 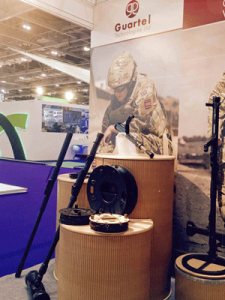 Our distributor in the UK exhibited the Ruslyn Cordwheel and Pack Reel at the 2015 Defence and Security Equipment International (DSEI) 15 – 18 September 2015. 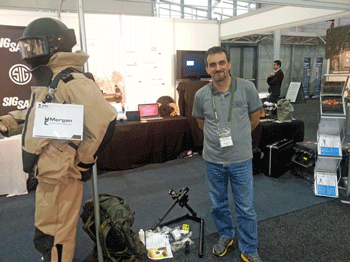 EOD UK together with Guartel Technologies is a supplier of defence equipment to the UK Ministary of Defence (MOD). 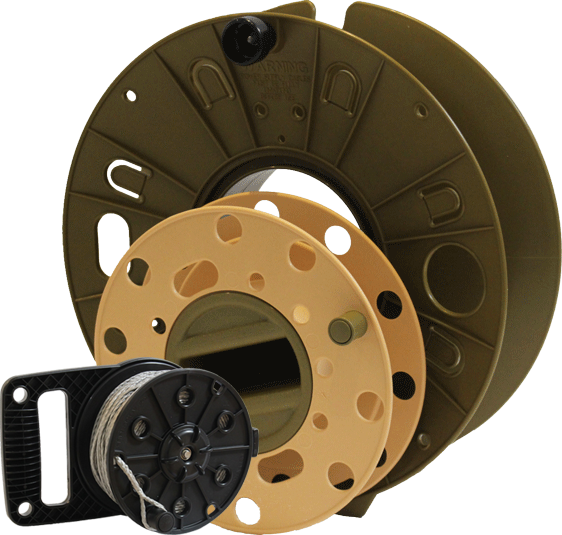 EOD UK have been supplying the Cord Wheel and Pack Reel to various areas within UK military for a number of years. Vipfish OÜ specializes in the supply of special equipment and materials for the Defense, Police and Rescue Board in Estonia. TETAC Incorporated are the US Cordwheel and Pack Reel distributors for Ruslyn Holdings Australia and are attending the 2015 EOD Global Conference in Washington DC in late July. TETAC will be meeting many existing and prospective uses of both the Cordwheel and Pack Reel and demonstating the unique products that they supply to the EOD/CIED community. On our recent visit to the island of Oharu in Hawaii we met with the Honolulu Bomb Squad team to introduce the Ruslyn Pack Reel. They were unaware of the article written in the National Tactical Officers Association (NTOA) winter edition of The On Target magazine and were going to obtain a copy. The team were impressed with our small reel and we left them with a sample of the NATO Pack Reel and black Pack Reel. 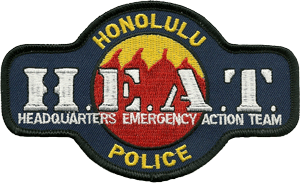 We were invited to visit them when next in Hawaii. On the 12th May 2015 we once again visited the EOD personnel at the US Marine Corps Base Kaneohe Bay to discuss the Ruslyn Pack Reel and its uses within EOD and dive teams. It was great to see the guys and leave them with some “reeling in the world” caps and a NATO Pack Reel. We also left them a catalog from CTS in Montreal and TETAC out of San Diego. Both are valued distributors of the Cordwheel and Pack Reel. The EOD team are currently evaluating the world renowned CTS Disrupter System. 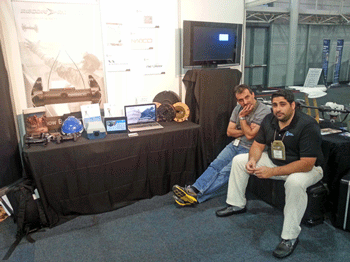 They were very interested to hear that TETAC has recently supplied the Cordwheel and Pack Reel to US Navy dive teams. Vipfish OÜ is an Estonian supplier of military equipment. The company is currently working on a tender to supply firing cable and is looking to incorporate the Ruslyn Cordwheel and Ruslyn Pack reel in the tender. A sample of both the NATO Cordwheel (NSN) 8130/661533558 and NATO Pack Reel (NSN) 8130/661596431 have been shipped to Estonia for evaluation. The Tactical Edge – Winter Edition – February 2015. US National Tactical Officers Association (NTOA). We have an advertisement on page 20 of the winter edition of The Tactical Edge magazine produced by the US National Tactical Operations Group (NTOA). The advert is in the form of an article describing how the Ruslyn Pack Reel was developed and put into military service in 2011. 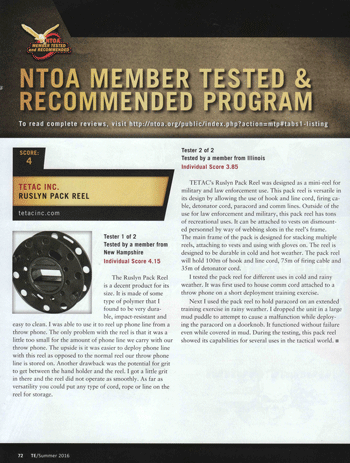 The Ruslyn Pack Reel was tested and approved by the NTOA in 2014 and is now a recommended product for use in law enforcement. Pre arranged meeting with the Fort Lauderdale Police SWAT Unit did not eventuate which was extremely disappointing as we had traveled half way around the world to meet with them. Maybe next time or with the Miami SWAT team. Met with two Officers of the Boston Special Operations Division (SWAT) on November 28, 2014 to demonstrate the Ruslyn Pack Reel which is being introduced to the US Special Operations community by the NTOA in the winter edition of The Tactical Edge publication. I would like to thank the Boston Special Operations Division for their kind hospitality and wish them all a safe and rewarding 2015. We met with two senior Police Officers from the Emergency Task Unit, Explosive Disposal Unit, to discuss and demonstate the functions of the Ruslyn Pack Reel. The department was impressed with the concept of this small reel and were going to speak with their supplier CTS in Montreal. This visit to the Niagara Police Department was very memorable and enjoyable. We wish them all the best for 2015. Unfortunately after a long return bus trip from Montreal to Quebec City S4 Tactical & Defence was a no show after a pre arranged meeting? 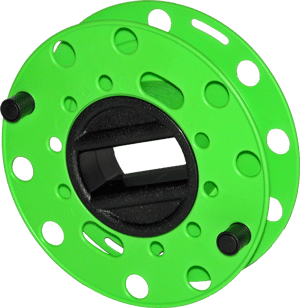 They are now being reviewed as a suitable distributor for the Ruslyn Cordwheel and Ruslyn Pack Reel. We have many distributors around the world and we are very proud of our relationships. 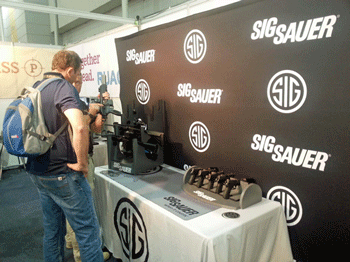 On November 20th 2014 we visited our Canadian friends and distributors at CTS in Montreal. 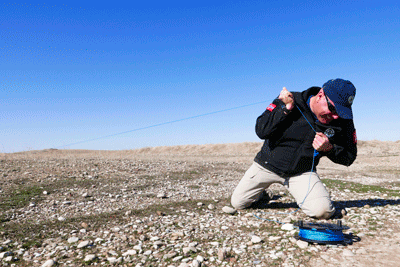 CTS are worldwide suppliers of IED and unexploded ordnance disrupters and are leaders in the industry. CTS proudly uses the Ruslyn Cordwheel and Ruslyn Pack Reel in their disrupter kits. On the 17th and 18th of November 2014 we met with Mark Benson of TETAC Inc to discuss marketing of the Ruslyn Cordwheel and Ruslyn Pack Reel to U.S Defense, Homeland Security and Law Enforcement. An advertisement is being published in the National Tactical Officers Association (NTOA) quarterly magazine The Tactical Edge in February 2015. TETAC and Ruslyn Holdings are looking forward to this event as the Pack Reel is now an approved NTOA product. The Pack Reel is used in Australia by the Australian Federal Police as well as State Law Enforcement. 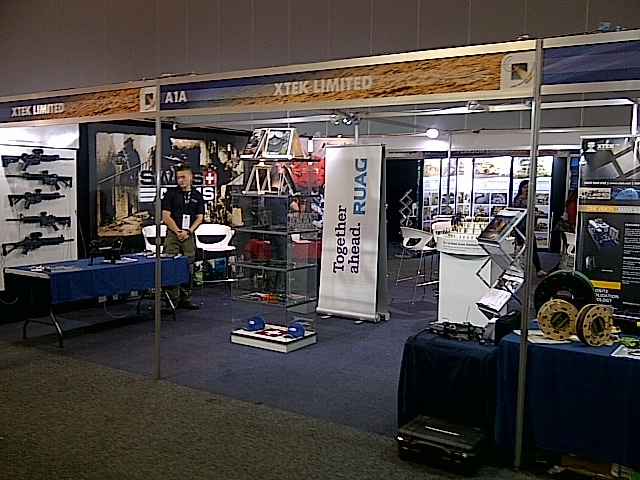 Ruslyn Holdings attended Land Forces Brisbane Australia on September 22 – 25 and exhibited the Ruslyn Cordwheel and Pack Reel with our distributor XTEK Limited. XTEK had a large stand exhibiting products from numerous suppliers and many very interesting people including users of the Cordwheel and Pack Reel visited the stand . 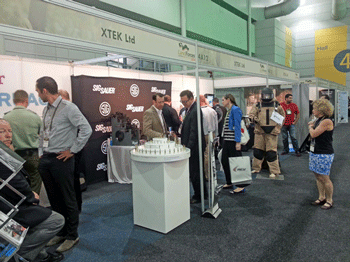 Our Canadian distributor CTS also attended and displayed their EOD products. It was a pleasure meeting the CEO of CTS after so many years of working together. All in all it was a most successful expo. 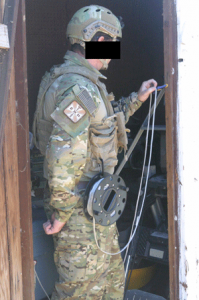 The United States National Tactical Officers Association has successfully completed field testing of the Ruslyn Pack Reel and it is now recommended as an approved product. 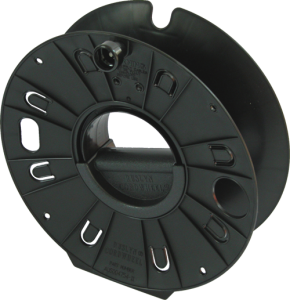 The Ruslyn Pack Reel is recommended by NTOA for use with hook and line cord, firing cable, detonator cord, paracord, comm lines and throw phone cable. TETAC Incorporated is a disabled, veteran owned small business. 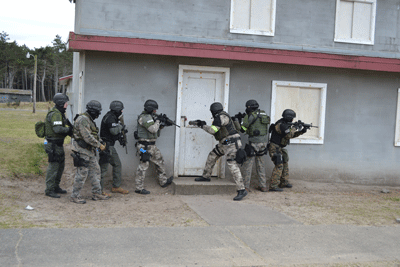 TETAC consists of experienced engineers and explosive experts, who together, work to develop tools, tactics, and materials that increase the performance and safety of first responders and military personnel. TETAC has waterfront training facilities located in San Diego, CA. Manufacturing and engineering facilities are located in San Diego, CA and Oakland, CA. 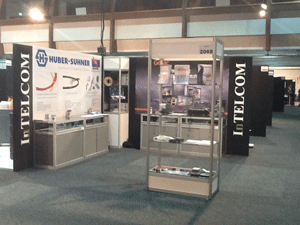 Our New Zealand distributors InTELCOM exhibited at the Engineering, Machinery and Electronics Exhibition (EMEX) May 31st – June 2nd at the ASB Showgrounds, Greenlane, Auckland. InTELCOM displayed both the Cordwheel and the Pack Reel at this Expo. InTELCOM Services Ltd has been supplying a range of RF and tactical solutions to New Zealand Defence, Govt, Telcos and the Broadcasting sector since 1960. They have strong ties with Defence and other key Govt agencies supplying a range of specialist equipment. InTELCOM offer a local marketing, sales, installation, manufacturing, repair and technical support in New Zealand with a proven track record. They also have a full cable manufacturing and repair capability up to 30GHz. 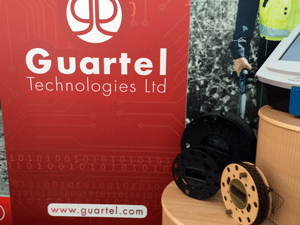 EOD UK exhibited Ruslyn Cordwheel and Pack Reel on the Guartel Technologies stand at the London Counter Terror Expo held 29-30 April 2014. EOD UK is our distributor in the UK. The General Services Administration (GSA) is an independent agency of the United States Government, established in 1949 to help manage and support the basic functioning of federal agencies. The GSA supplies products and communications for U.S. government offices, provides transportation and office space to federal employees, and develops government-wide cost-minimizing policies, and other management tasks. TETAC Incorporated located in San Diego California has applied to have the Ruslyn Cordwheel and Ruslyn Pack Reel listed on the GSA Schedule. Once listed, the GSA Schedule will enable purchasing of the Cordwheel (cord reel) and Pack Reel (small reel) by government departments including the DoD, an easy process. TETAC are currently meeting in Virginia with the EOD Equipment Review Board. The board consists of all 4 branches located at NAVTECHDIV. The Cordwheel and Pack Reel will be demonstrated to the Equipment Review Board. The Cordwheel (cord reel) will be demonstrated as a rugged hand held reel which can handle and store many types of cables, rope and wire. The cord reel will also be demonstrated as a large tactical pull line reel. 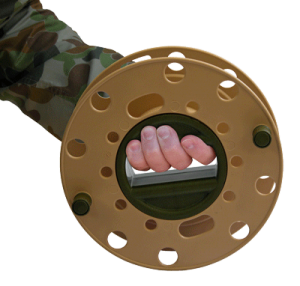 This reel was developed in Australia to meet requirements of the Australian Defence Force and is used by Army, Navy and Air Force. 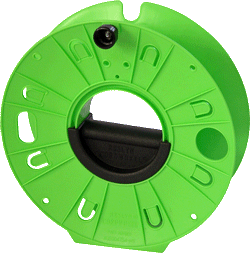 The green cord reel is NATO codified NSN 8130/661533558. The black cord reel is used in AV and deep clearance diving. 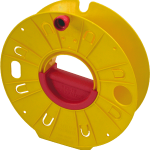 The yellow cord reel is used in any area where high visibility of equipment is required. 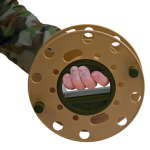 The Pack Reel (small reel) is being demonstrated to the Equipment Review Board as a hand held lightweight rugged mini reel developed for the dismounted soldier. 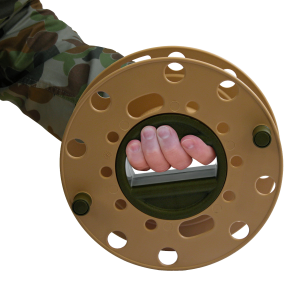 This small reel was developed in Australia to meet requirements for EOD/CIED, search, combat engineers, clearance divers and sigs. 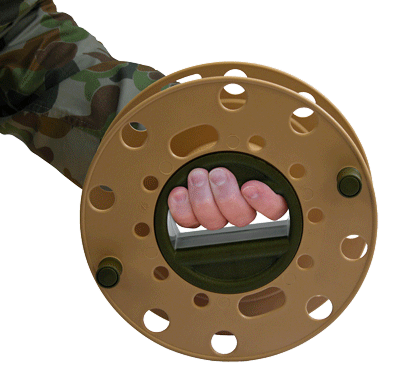 As a mini hand held reel it is currently used worldwide by Army, Navy and Air Force. 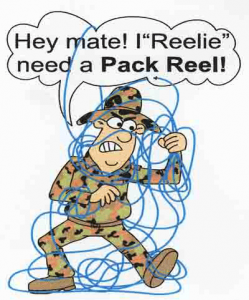 The Pack Reel is used as a hook & line small reel in medium tactical pull line kits, as a detonator cord small reel, a firing cable small reel, a small rope reel and signals cable small reel. Visited the EOD team at US Marine Corps Base Hawaii to demonstrate the Ruslyn Pack Reel. This mini EOD reel is used worldwide by EOD, search, combat engineers, special forces and clearance divers as a hook & line small reel, det cord small reel, firing cable small reel and many other uses where small lengths of coil able products are used. 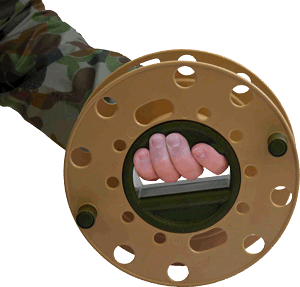 EOD United Kingdom have a shipment of NATO Cord reels on order to supply the MOD. This shipment is traveling by sea freight and should arrive in the UK early March. 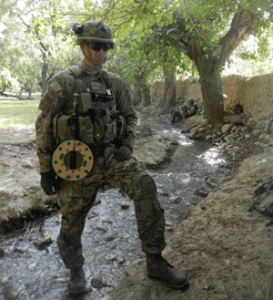 EOD UK supply both the Cordwheel and Pack Reel to EOD and CIED units within British Army, Navy and Air Force. 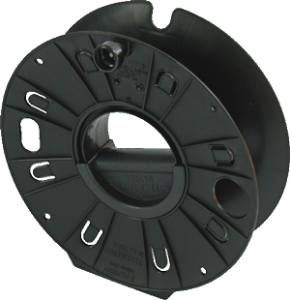 The Cord reel is used as a comms reel, firing cable reel, det cord reel, rope reel and power supply cable reel. The Pack Reel is used as an army engineers small reel, search mini reel, EOD small reel, sigs small reel and as a clearance divers mini reel. 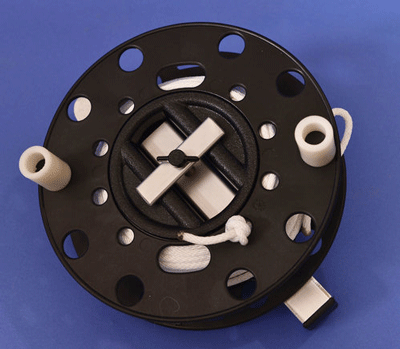 This small reel is used for handling det cord, firing cable, hook and line as well as a small anchor rope reel. 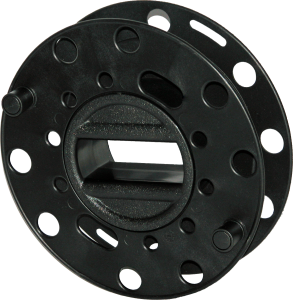 TETAC Inc USA have a large shipment of black Ruslyn Cordwheel AUD004754-11 on the way to San Diego to supply their military and industrial clients. TETAC Inc being Ruslyn Holdings USA distributor supply the cord reel to EOD/CIED, Army, Navy, USMC, Air Force and clearance divers. TETAC Inc have also been successful in supplying the black cord reel to the audio visual industry in Hollywood. 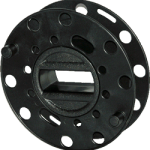 As well as military supply, TETAC Inc are also promoting the Ruslyn Pack Reel to the US kayak fishing industry. 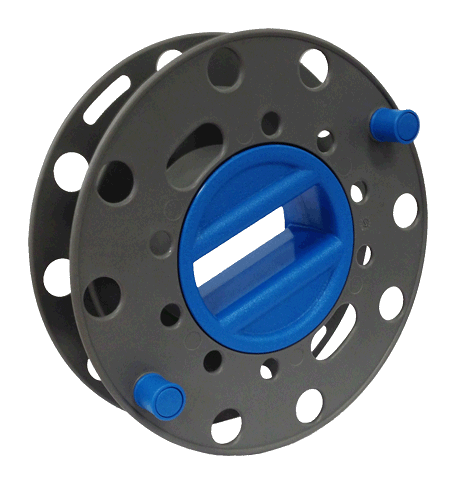 This small reel is absolutely ideal for use as a kayak small anchor rope reel to increase the safety of kayak fishermen who have a constant safety problem with tangled kayak anchor rope when their kayak accidentally turns over. 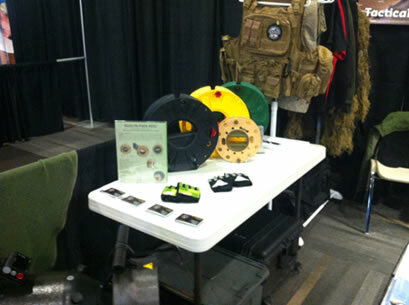 EOD UK recently joined our worldwide distributor network to promote the Ruslyn Cordwheel and Pack Reel. 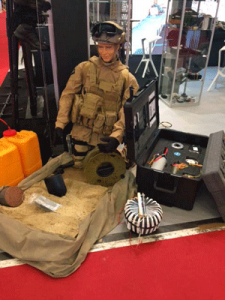 EOD UK specialises in explosive ordnance disposal, counter terrorist, search, improvised explosive device disposal, maritime, aviation and venue security. The EOD UK client base includes non-government organisations, military, media, manufacturing companies, commercial EOD companies, security companies, the financial sector and facilities management companies. ThinLight Sweden AB are now distributors of the Ruslyn Cordwheel and Pack Reel. 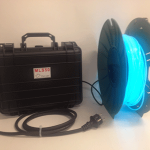 ThinLight are using the cordwheel and small reel in their portable LED cable lighting kits. ThinLight will also be promoting the cordwheel and small reel in Sweden and Norway for use by defence, homeland security, emergency services and industry. 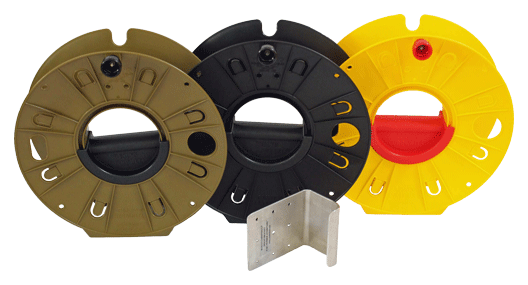 The cordwheel will be promoted at a cable reel, AV reel, rope reel, barrier tape reel, wire reel and hose reel. The small reel will be promoted as a hook & line reel, det cord reel, firing cable reel, sigs reel, AV reel, rope reel and wire reel. Ruslyn Holdings are hoping for much to come from a partnership with Thinlight throughout Sweden, Noway and the rest of Europe. A recent photo received from the Middle East showing the Ruslyn Pack being used by a dismounted soldier. The military use this mini reel to enable tangle free handling of hook & line, det cord, firing cable, sigs cable, rope and wire. 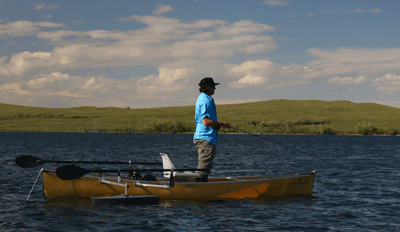 As a lightweight small reel it can be attached to webbing as shown or simply stored in a pack. June 2013 Supplied another shipment of Ruslyn Cordwheels to Victoria State Emergency Service. Victoria SES use the Ruslyn Cordwheel throughout Victoria regions for handling rope, hose and wire. 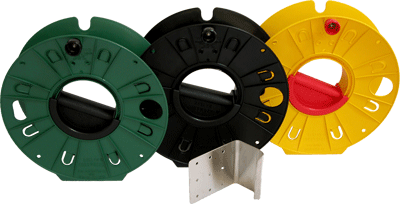 Exported a shipment of Pack Reels and Cordwheels to our New Zealand distributor InTELCOM. InTELCOM supply NZ Army, Navy and Air Force with various types of equipment including the Ruslyn Pack Reel and Ruslyn Cordwheel. 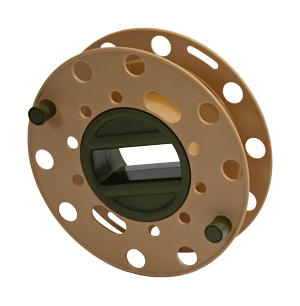 Supplied a large shipment of Ruslyn Cordwheels to Geoscience Australia. Geoscience Australia will be using both the NATO Cordwheel and Emergency Services Cordwheel for handling their field cables. May 2013. Exported the 1st shipment of Ruslyn Pack Reels and Ruslyn Cordwheels to our UK distributor EOD UK. EOD UK will be supplying the Pack Reel and Cordwheel to United Kingdom Defence. 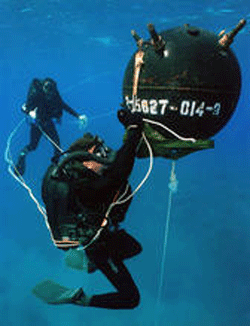 Users will be EOD, Combat Engineers, Search, Special Forces, Sigs and Clearance Divers. 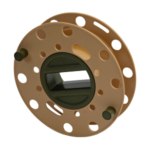 Supplied a quantity of Ruslyn Cordwheels to SAAB Systems Australia. SAAB Systems will be using the Ruslyn Cordwheel as part of a supply of equipment to Defence. 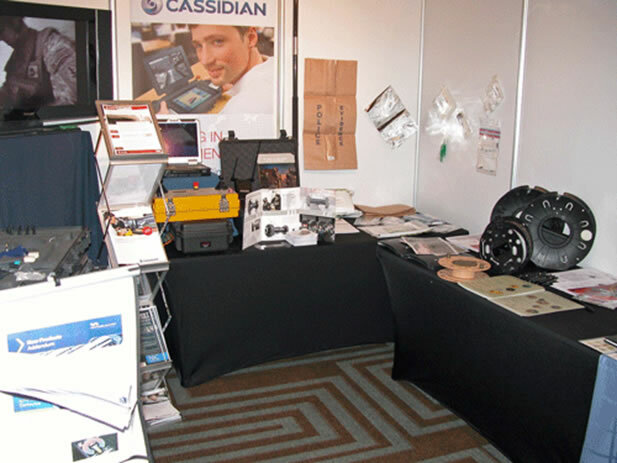 December 2012 Exhibited with our distributor XTEK at the Australian Bomb Data Centre Conference in Sydney. 2012. SecureTech Conference and Tradeshow – Ottawa Canada SecureTech 2012, a two day public safety and security omnibus Conference and Exhibit, organized by the Canadian Association of Defence and Security Industries (CADSI) held on October 30-31 2012, in conjunction with a major 20,000 square foot exhibit at the new Ottawa Convention Centre. SecureTech 2012 focused on three nations Canada, the UK and the US that share the majority of the same security and public safety concerns. Ruslyn Holdings was represented by S4 Tactical and Defence who are distributing the Ruslyn Cordwheel and Ruslyn Pack Reel in Canada. 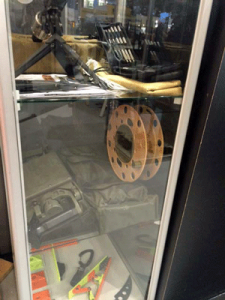 The Pack Reel and Cord Reel were displayed showing capabilities as a hook & line reel, firing cable reel, det cord reel, comms cable reel and rope reel to Defense and Security. November 2012. Exported a quantity of Ruslyn Pack Reels to U.S Army 221st EOD in Kuwait. 221st EOD will be using the Pack Reel for deploying hook and line, firing cable, det cord and comms cable. 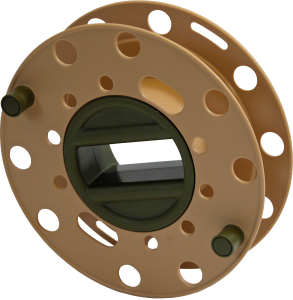 We are glad to be of service to the U.S Army with our mini reel. October / November 2012. Attended the Australian Land Warfare Conference in Melbourne where our Distributors Xtek Ltd exhibited the Ruslyn Cordwheel and Ruslyn Pack Reel in both NATO colours and black. Much interest was shown by end users looking for a quality hand held cable reel such as the Cordwheel and a mini reel such as the Pack Reel. May 2012. Exported a shipment of Ruslyn Pack Reels to Ohio USA for deployment of Kayak anchor rope. 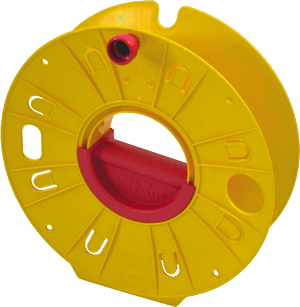 This small cable reel is invaluable in the safe handling of Kayak anchor rope. Exported a shipment of Ruslyn Pack Reels to the New Zealand Defence Force. NZDF will be using this mini reel to assist defence personnel with the handling of hook and line, detonator cord, shock tube, firing cable and comms cable. 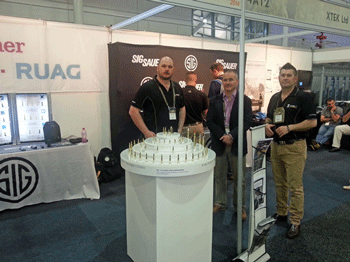 Ruslyn Holdings is proud to be assisting the NZDF with this small line reel. Supplied another shipment of Ruslyn Cordwheels to SES Victoria who use these reels for deployment of cables and ropes throughout the state. 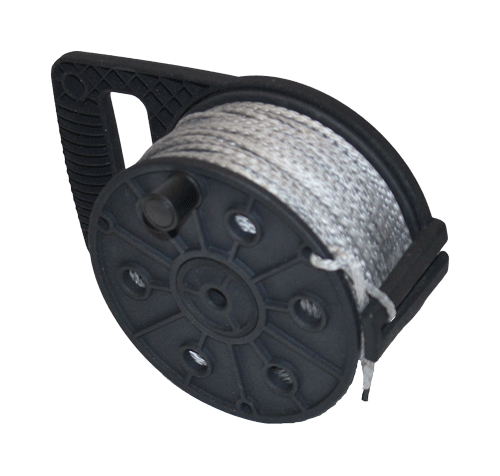 High Tech / Small / Military Grade Anchor Rope Cord Reel – Ideal for Kayaks! I’ve finally found the ultimate anchor rope management cord wheel. Anchor rope management is a big problem for me and I have a Ranger Z19 bass boat. 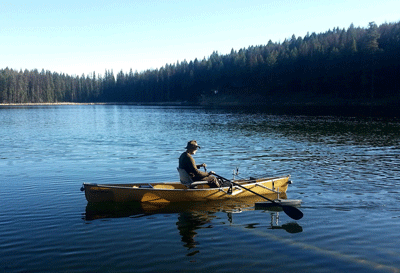 I’ve started fishing more open water, and anchor frequently when I find a hump or other structure that is holding fish. I hate having anchor rope all over the front deck, particularly when I am fishing or burning across the water at high speeds. It’s quite dangerous and a big hassle! and rescue, special operations, etc. Finally he agreed to sell me 3 reels, which I received a few days ago. These things are awesome! March 2012. Our export of Ruslyn Cordwheels has finally been delivered to our valued customer CTS in Canada. 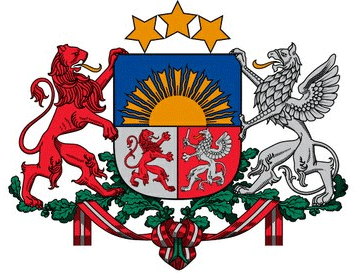 Delivery also arrived in Peru for our good friends at Arce Geofisicos. Many samples of the Ruslyn Pack Reel have been made to prospective buyers in many parts of the world including Canada, USA, Peru and Hawaii. February 2012. The Ruslyn Pack Reel NSN 8130-66-159-6431 is finally in production and in service with Australian Army, Navy and Air Force. Supplies of the Ruslyn pack Reel have also been delivered to Tasmania, Victoria and NSW. December 2011. The Ruslyn Pack Reel tooling is almost complete and we expect production to commence around mid January. This small reel has now been Codified by the Defence Department and has been given the NATO Stock Number 8130/661596431. We are accepting pre-production orders. October 2011. 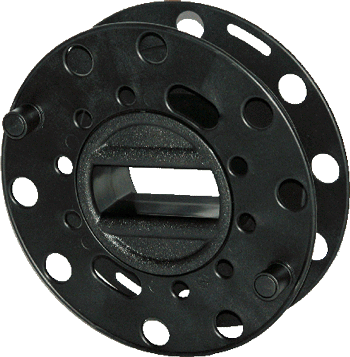 We have received our first overseas order for the Ruslyn Pack Reel® from a Police Department in Indiana USA. 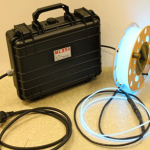 This Police Department will be using the Pack Reel® in their SWAT Team as a mini hook & line, firing cable mini reel, det cord mini reel and signals cable mini reel. Tool machining is on schedule and production of the Pack Reel® will commence within 3 weeks. Another shipment of the Ruslyn Cordwheel® has just been delivered to the Australian Defence Department for distribution to Army, navy and Air Force where it is used for multiple purposes. September 2011. Another export sale to Mechron Power Systems Canada. 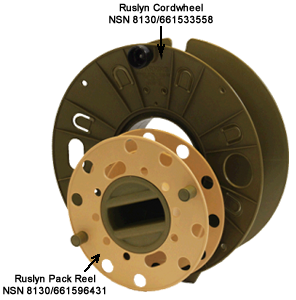 Mechron Power Systems supplies the NATO Ruslyn Cordwheel 8130/661533558 to their defense clients and are a very large international supplier of electrical equipment to industry and the military. Tooling for the Ruslyn Pack Reel AUS004754RPR-85 is progressing well and expected production is scheduled to commence by the end of October. There are many potential uses around the world waiting on this innovative mini hand held reeling device. Colours have been finalized with Army and will be a beige spool (8) with khaki (5) centre handle.